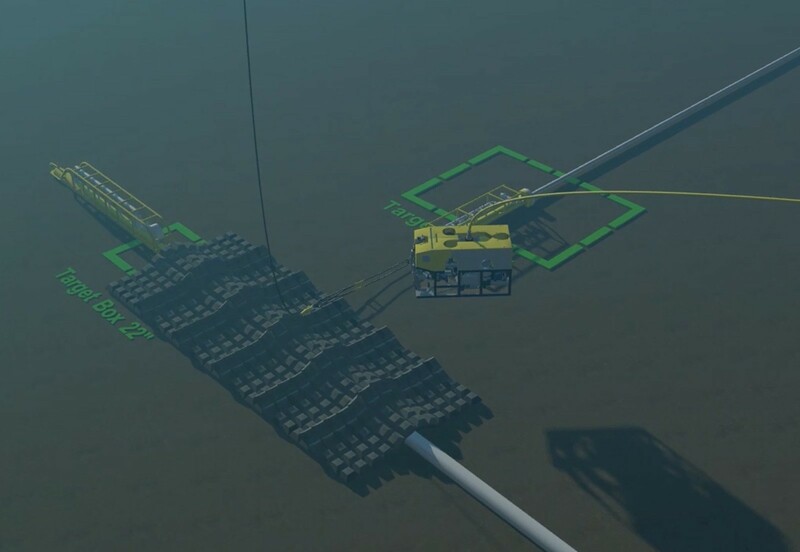 In most parts of the world where oil and gas production takes place, there are many existing pipelines and cables on the seabed that must be crossed when installing a new pipeline. To prevent any damage to these existing pipelines and cables, crossing preparations must be performed before a new pipeline is installed. Protection is provided by mattresses, consisting of concrete blocks connected by steel or synthetic material. The concrete blocks are covered with special pads to prevent the pipeline from being damaged. 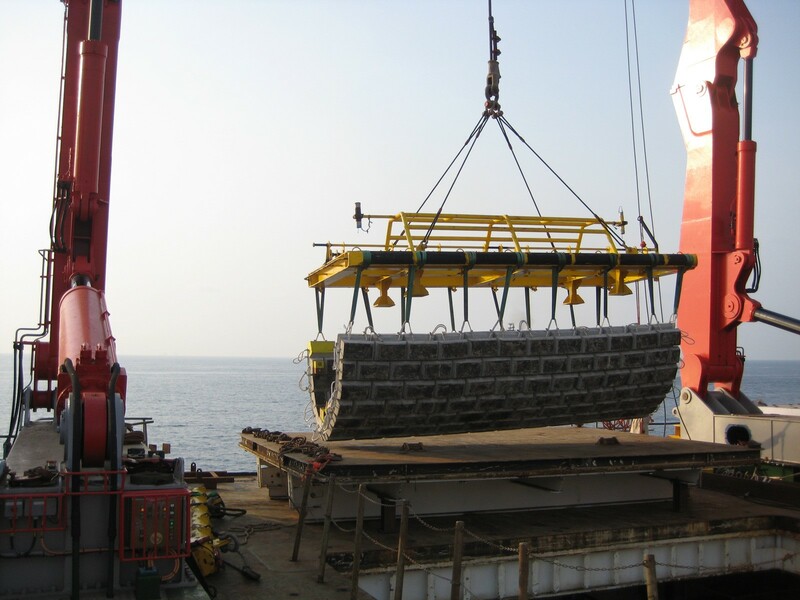 Since the crossing protrudes above the level of the seabed, it is covered either by rocks (rock dumping) or by additional mattresses for protection. 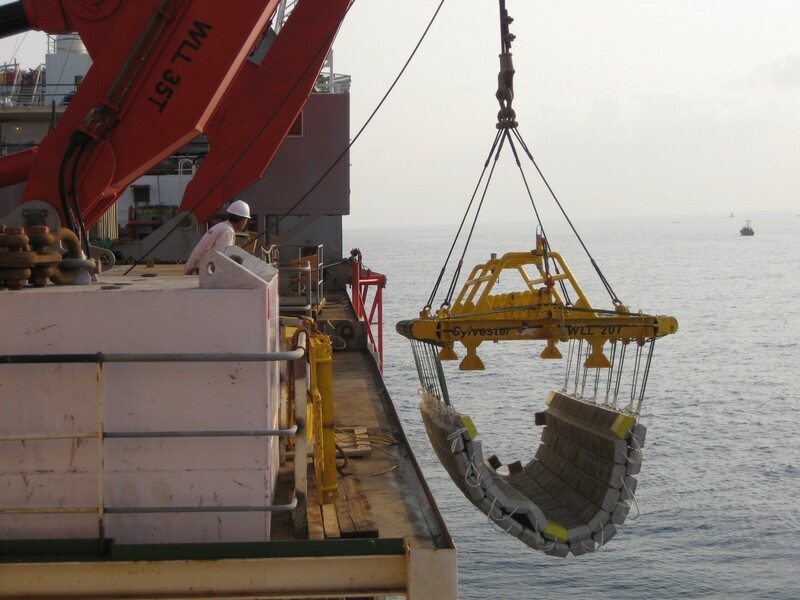 Allseas’ support vessel Calamity Jane is able to install concrete mattresses using her remotely controlled subsea installation frame and her ROV-operated mattress installation frame. 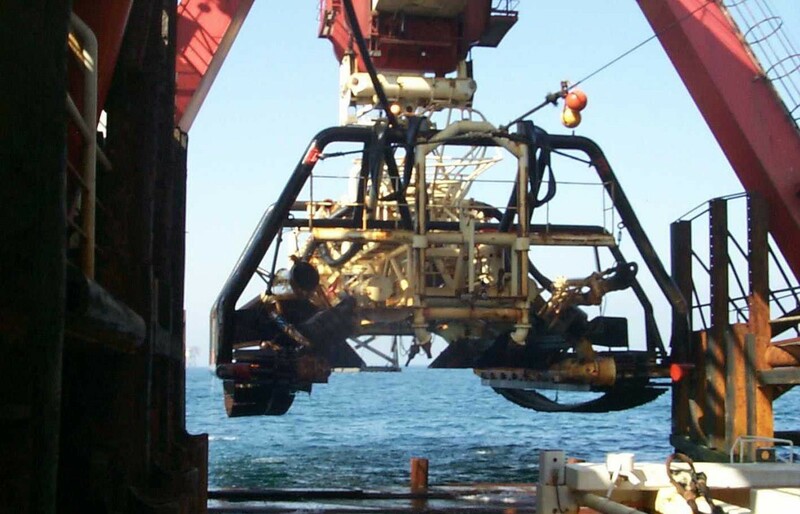 Additionally, in some areas pipelines must be buried to protect them from near-shore wave forces, ship anchors and commercial fishing activities. 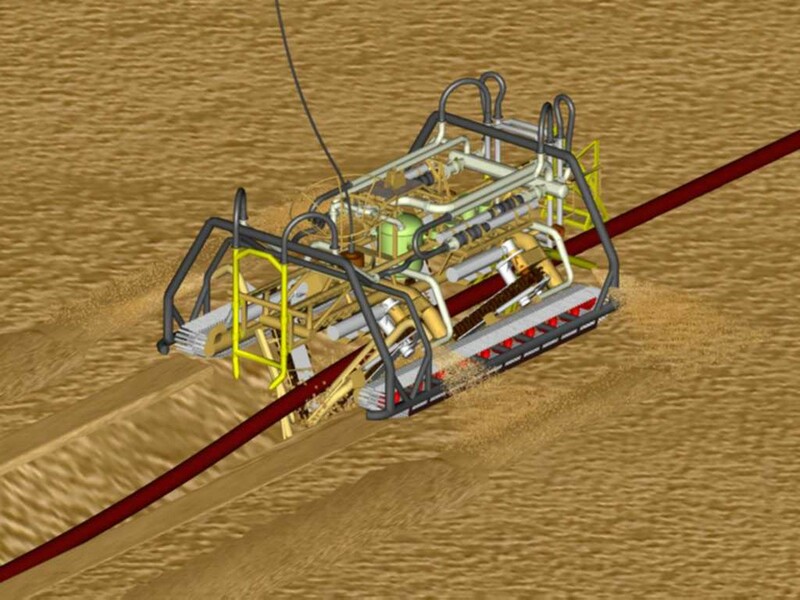 Specialised equipment is used to dig a trench and then cover the pipeline. Allseas’ mechanical trencher Digging Donald creates a V-shaped trench underneath the pipeline using mechanical digging arms. 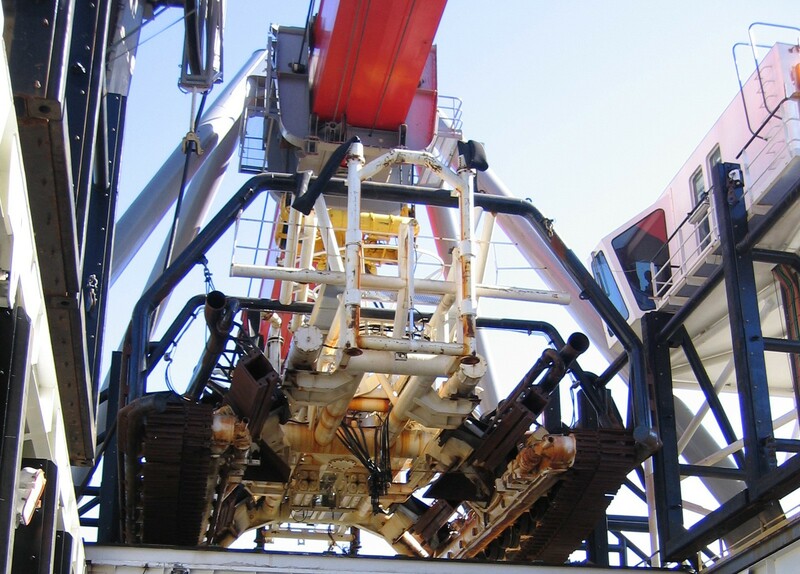 The pipeline gradually sinks into the trench behind the machine. Remedial passes clear soil that has fallen back into the trench by means of strong jets of water.